November 28, 2016 December 1, 2016 ResortTrades 973 Views c.a.r.e. 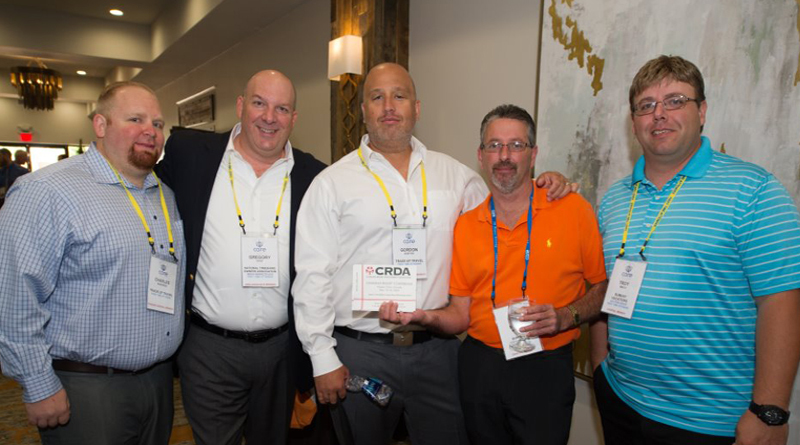 As C.A.R.E.‘s (Cooperative Association of Resort Exchangers) 63rd Semi-Annual conference came to a successful close, details for its 2017 Spring Conference at the Wyndham Virginia Beach Oceanfront Resort, Virginia Beach, VA were announced. C.A.R.E.’s fall conference, held at the Hyatt Regency Lake Tahoe Resort, Spa and Casino, in Incline Village/Lake Tahoe, NV from October 22-24, 2016, offered numerous educational and networking opportunities. The conference began with its always popular and fast-paced Speed Networking event, hosted by Trade Up Travel, LLC and moderated by Jim Madrid, Founder and CEO of Advance Sports Technology. Madrid kept the momentum going as he opened the conference agenda on Sunday with his key note session: “Invent Your Future”, an interactive workshop from Mr. Madrid’s High Performance series, in which he led conference attendees through concepts to assist in creating and achieving a compelling vision for individuals and their companies. Paul Mattimoe, President and CEO of Perspective Group, followed with an informative session “How Customer Profiling Will Improve Your Business.” On Monday, during the General Session, a lively discussion followed C.A.R.E. President Linda Mayhugh’s “International Industry Update” and invaluable information was shared at the C.A.R.E. panel discussion “Impact and Opportunities of Alternative Lodging OTA’s” moderated by Ryan Monson, National Sales Director at Access Development. C.A.R.E. is renowned for its networking events, and opportunities to develop new business relationships and solidify existing associations were plentiful. On Sunday, the “Grand Evening of Recognition, Relaxation and Networking”, sponsored by Endless Vacation Rentals, CondoWarehouse.com and RTX-Resort Travel & Xchange featured fire pits, s’mores, hot toddies and the exceptional acoustic guitar playing of Brad Perry. Conference attendees concluded their conference experience with laughter, lots of comradery and a little bit of competition at the C.A.R.E. Triathlon Bowl sponsored by Global Connections, Inc. and Resort Management Services. Planning for C.A.R.E.’s 64th Semi-Annual Conference in Virginia Beach, VA from May 6-9, 2017 was well underway prior to the close of the fall conference as speaker, Randall Dean, MBA (the Email Sanity Expert®), Randall Dean Consulting & Training, LLC had already been engaged to deliver his key note address “Finding an Extra Hour Every Day: Key Strategies for Time, E-Mail, Clutter and Distraction Management”. Numerous C.A.R.E. companies, including Global Connections, Inc., RTX-Resort Travel & Xchange, Resort Management Services and Weeks4Less, LLC have already pledged their support as sponsors. Registration for the conference will open in February 2017. For more information on C.A.R.E. and its 64th Semi-Annual Conference, visit www.care-online.org. C.A.R.E. (www.care-online.org) the Cooperative Association of Resort Exchangers, established more than 30 years ago in 1985, continues to gain respectable growth as one of the most valuable trade associations in the industry. Its internationally diverse member base includes Resort Developers, Management and Exchange Companies, HOA’s, Travel Clubs and Wholesalers as well as many respected industry suppliers bringing (value-added) revenue enhancement opportunities. Members that possess rentable inventory or seek inventory for fulfillment of rental requests set the foundation of C.A.R.E. with a multitude of scenarios for securing client vacations, increased inventory utilization and heightened yield management. C.A.R.E. members have the ability to share inventory via week-to-week exchanges, weekly wholesale rentals, guaranteed and free-sale blocks as well as year round and seasonal leases all over the world. C.A.R.E. members must comply with a strict Code of Standards and Ethics and will undoubtedly gain professional and personal development when participating in C.A.R.E.’s semi-annual conferences. With nominal annual membership fees and some of the industry’s lowest conference registration rates, C.A.R.E. can prove an undeniable value rather quickly.